Today’s meeting of Brazil and Mexico will pit two confident teams with soccer-crazed nations behind them attempting to seize control of first place in their group and make a resounding statement to future opponents. Interestingly, the team that finishes first in Group A will likely have to play defending champions Spain, who lost their first match to the Netherlands in embarrassing fashion. Attaining first place in this group is not necessarily a blessing, as even after their poor opening game, no one wants to play the slick, quick passing, always diving Spaniards. This matchup is particularly difficult for those fans who have loyalties to both teams. Say, for example, you are an impassioned supporter of Brazilian superstar Neymar Jr., who some have a called a poet on the field, using the ball at his feet rather than the pen in his hand to weave flowing sensual verse that is felt rather than viewed. 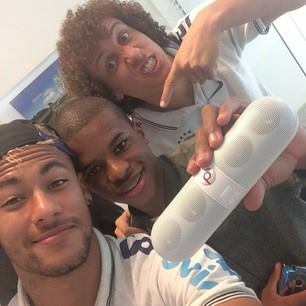 Say you’ve also put money on Neymar winning the golden boot (scoring the most goals). And then consider, at leaf for this hypothetical—which may be true for some torn fans mind you—that Mexico is your team. The country and players of El Tri have inspired you in recent weeks, and you want Mexican forward and goal scorer Oribe Peralta to return to La Partida, his hometown of under 4,000 people, as a World Cup champion. 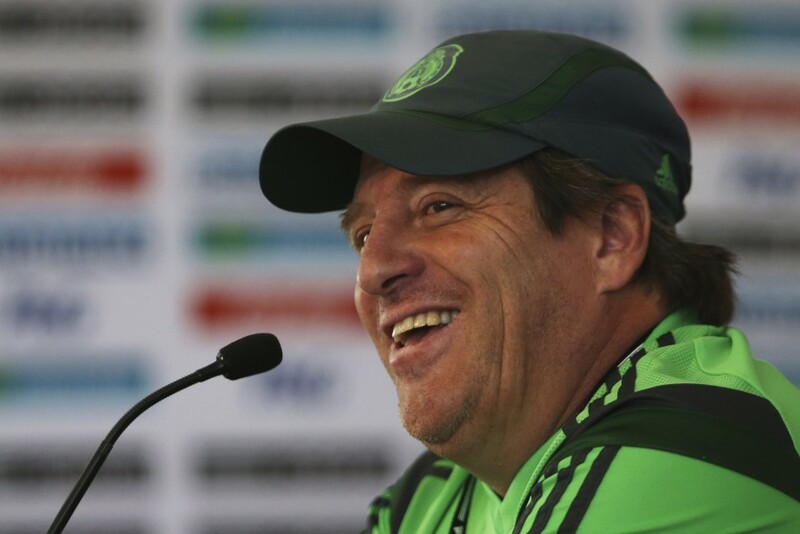 Mexican coach Miguel Herrera is all smiles. Mexico has only recently become a team, and this growth of individuals into a single unit working toward the same goal (both between the posts and the dream of lifting the trophy) seems to have aroused an emotional intensity in the players and their supporters. They are an easy team to root for because of the adversity they have gone through in qualifying, the likability of their well-rounded coach, and the passion of their fans. Suddenly, the Mexicans believe that they can win any game. Suddenly, making a deep run into this World Cup seems like a possibility. It is crucial that the players continue to paly with the focus and urgency they showed against Cameroon. Brazil is obviously playing every single game of this tournament in front of their home crowds, which must add to both the confidence of and pressure on their players. They must play a tighter, more disciplined and lethal match than they did against Croatia. Mexican keeper Alex Ochoa won’t make the same glaring mistakes as Croatian keeper Stipe Pletikosa, and the Brazilian team likely won’t benefit from poor officiating this time around. How will the heralded Brazilian starting 11 handle a tough match against a focused Mexican side thirsty for a win? In the game against Cameroon, Mexican wing backs Miguel Layún and Paul Aguilar were given space to roam on the wings, essentially giving the Mexicans five to six midfielders on the attack to support forwards Peralta and Giovanni Dos Santos. This formation employed by wise coach Miguel Herrera worked against Cameroon and may cause problems for Brazil’s defense, which looked shaky against Croatia’s attack. Croatian forward Iviac Olic was able to get behind the Brazilian back line and create chances for the Vatreni. Dos Santos will look to recreate Olic’s performance and add the finish, hoping any goals he might score today won’t be called back by incompetent referees. 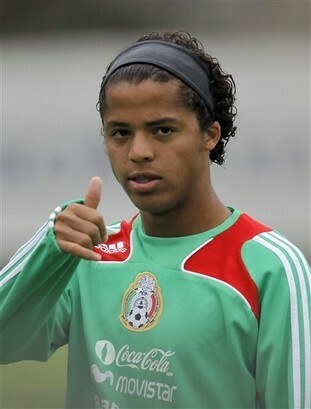 Giovanni Dos Santos is ready. Both of Brazil’s on-field goals against Croatia came through the middle, one each from Brazil’s two most talented offensive players: Neymar and Oscar. Stopping these two phenoms may be impossible, so Mexico’s midfield and defense will instead look to slow them down and disrupt their samba rhythm with plenty of clean tackles and swarms of red shirts every time they touch the ball. The key here is that Neymar, Oscar, and Brazil’s other attacking players are met with force in the midfield rather than only at the back line. Possession in this game will be interesting with Brazil likely holding onto the ball like a mother holding onto her child, but Mexico is like the cool uncle right now, winning over the bouncing ball as well as many impartial fans due to its intriguing story and skilled, cohesive team play. Anything could happen. This match will likely be one of the best of this young World Cup. You don’t want to miss it! And check out this interactive video showing one of the main reasons why we love the World Cup.